The quintessential British cake made brilliantly. A light and moist vanilla sponge is complemented wonderfully by the slightly tart homemade Raspberry jam and a generous layer of whipped buttercream. 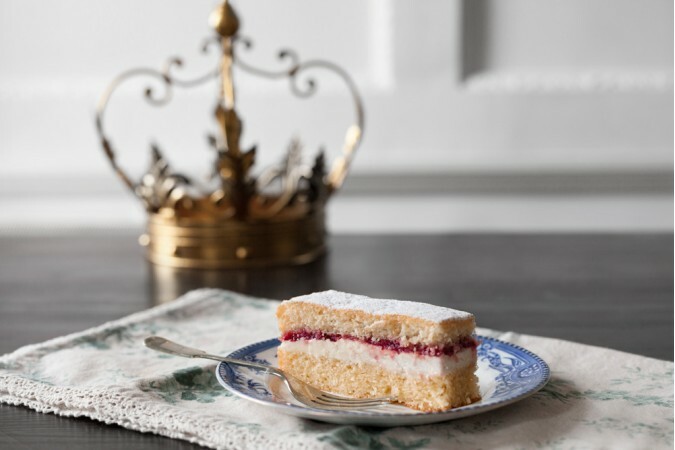 The Queen Vic certainly gets the royal seal of the approval here at Cake HQ! 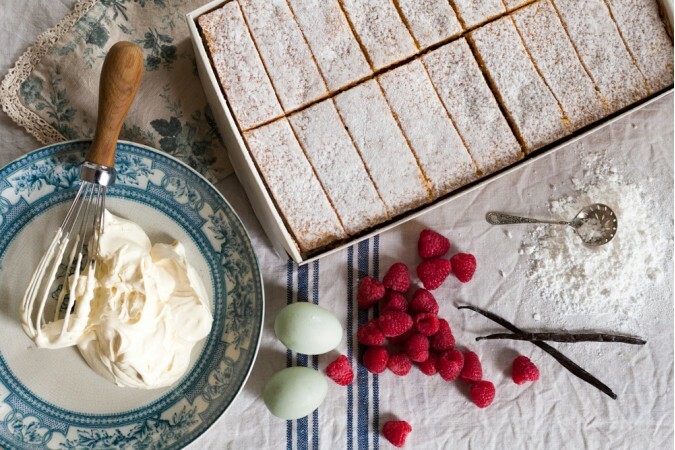 Sugar, WHEAT flour, icing sugar (sugar, anti-caking agent (E341)), salted butter (MILK), free range EGG, raspberries (7%), sunflower oil, double cream (MILK), buttermilk (MILK), raising agent, snow dusting (dextrose, WHEAT starch, non-hydrogenated sustainable palm oil, salt, natural flavouring), vanilla paste, vanilla extract, salt.